Administrators and teachers everywhere recognize the important contributions parents make toward a child’s success in school. There is no question about it - success at school begins at home. Parents are the single most important variable in a child’s schooling. Parents model both a silent and spoken language in front of their children daily. One of the most important components of a good school is the partnership between the school and parents who work together for the best interest of children. The close partnership between home and school is one of the exceptional strengths at Evergreen Elementary School. Evergreen Elementary School has a strong tradition of supportive, hard-working parents. Throughout the year parents have the opportunity to develop that partnership in a wide variety of ways. Parents join the PTA, volunteer in the classroom, help at the carnival, attend School Site Council meetings, read to their children and help in many other ways. It is important to your child that you are involved in some way at school. It’s a way to let your child know you think his or her school is important. As we begin a new school year, we find teachers establishing school standards and rules. In the most successful classrooms, teachers have established specific routines for the children to follow. This means giving the children a specific place to find and keep materials, a set schedule for classroom instruction, etc. These routines, blended with the teacher’s consistent standards, form a smooth running classroom where the children have the security of understanding their environment and are reinforced positively for their contributions. At home, it is also important to provide routines. Many families build a daily “quiet time” when the television is turned off. This quiet time provides students the opportunity for completing schoolwork or for recreational reading if there is no homework. During this quiet time a suitable place, somewhat free of other distractions, should be available. The routine of a daily quiet time provides an opportunity to develop self-discipline, stimulate imagination, and enhance reading skills. Routines can also make completing chores easier for both children and parents. If children are consistently expected to complete routine household duties at the same time on the same day in the same place, they soon begin to develop a responsibility for their commitment and contribution to the family. As families establish routines for the new school year, it is helpful to keep in mind that childhood is a special time of learning, exploration and growth. Children need to be provided free time to explore their world and experience the joy of discovery. Hopefully we can provide time for our children to be children. The realities of the adult world will be there all too soon. As children grow and learn, they find joy and satisfaction in working closely with their families toward a common goal. Such is the case with the students at Evergreen Elementary School. Commitment to the best for our children on the part of parents, students and staff is the key to our success with the children we teach. It is the hope of the staff that all parents will help us fulfill this commitment to excellence on behalf of ALL children at Evergreen Elementary School. School and home can work together to build skills and knowledge, reinforce values, and develop a strong sense of self worth. We must invest our time and energies in our nation’s most valuable resource - our children. In collaboration with all vested members of our school community, we consistently work to achieve academic excellence for all students, celebrate and appreciate our students’ diversity, promote a positive school climate, and maintain an emotionally, intellectually, socially, and physically safe school environment. The Evergreen community respectfully nurtures and engages each student in realistic, meaningful, and collaborative learning. Over the 60 years that Evergreen School has educated children, it has been and continues to be a school built on years of rich tradition, dignified with academic excellence that supports all students as they soar toward the future. The school community has a tradition of working together to accomplish our vision of high expectations for individual student achievement. As we strive to move all students to proficiency and meet the social needs of all of our students, we understand that an effective school is the direct result of the efforts of all segments of the school community. At Evergreen, this community, our village, works collaboratively and continuously to promote our vision. Parents at Evergreen Elementary School play a key role in our success. We encourage parent participation through class, school, and district wide volunteer opportunities. Parents participate in decision-making bodies at the district level in the District Advisory Committee, English Learners Advisory Committee, Parent Advisory Committee, and at the school level in the Parent Teacher Association and on the School Site Council. On any given day you can walk though our campus and see parent volunteers working in classrooms helping in small group situations, facilitating a Project Cornerstone lesson, or returning from chaperoning a field trip. Parents often meet on campus to plan and prepare for a variety of after school and weekend community activities and fundraisers. The PTA organizes a Welcome Back Tea for parents, Movie Nights, International Day, Talent Show, Carnival, and many more activities throughout the year. The PTA also runs an annual “Reflections” program, where students compete in the areas of literature, visual arts, musical composition, and photography. Our community is another important extension of our learning population with a mix of long-time residents and newer families. Because of our stable teaching staff, many teachers have established close relationships with families in the community, which is a testament to our village creating supportive environments to support all students. This helps to create a trusting relationship and a positive interaction between school and home. Teachers have implemented well-established modes of communication with families that foster success. Parents understand teacher expectations and are able to be a partner in their child’s education. A weekly newsletter from the principal is posted on the school website. Teachers use various methods to communicate home, such as websites, emails, and notes, regarding class activities as well as their child’s academic progress. School doesn’t stop when the bell rings. At Evergreen, we offer a variety of fee-based and non-fee based before and after school programs such as Chess Club, Robotics, Public Speaking, Young Rembrandts, and Math Olympiad. Our staff offers intervention classes for those kindergarten - 6th grade students teachers deem to be “at risk” in the areas of language arts and math. Students also have the opportunity to participate in the Evergreen United's after school program, which offers homework help and after school care. 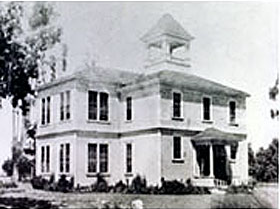 Once the only school in the area that served the farm community in the east foothills of San Jose, Evergreen School is honored to be the namesake of the district as well as the oldest school in the district. Evergreen Elementary opened its doors at the current location to students in the fall of 1955. We are now surrounded by homes instead of orchards and vineyards. Evergreen School is a community that works together as a team to create multiple opportunities for success for all students. The staff is committed, energetic, hard-working and creative. Parents are involved and can be seen helping around the school in classrooms, the computer lab, and on field trips. We are dedicated to the academic achievement of all students. We recognize and strive to meet our students’ emotional, social, and physical needs and promote their growth by helping them become critical thinkers, problem solvers, effective communicators and caring citizens. Evergreen is a school with “a strong 60-year tradition dignified with excellence in educating every child. ” It is our privilege to be able to carry on this tradition!